What did you have for breakfast today? Or more importantly how did you prepare it? I bet several kitchen appliances have been put to good use. Pans and knives, measuring and grinding, fire and ice (or rather, stove and fridge) - Consider The Fork by Bee Wilson isn't your ordinary guide into the history of food, but into the world of implements and technology inside the kitchen. It's not about what but how we eat, and if you find this to be a trivial topic, think again, because it's most certainly not. I promise, after reading this book you will never look at your spoon the same way again! Skillfully the author weaves a tapestry of her own observations while cooking, mixing it with fascinating excursions into history, effortlessly seguing from everyday snapshots to the distant past. Thoroughly researched and wonderfully detailed, but even more so, engrossingly and smoothly written, this book is literally a real treat for everyone even remotely interested into a look at the technology behind everything we eat. As unimportant as the equipment of a kitchen may seem compared to the history of food itself, I was both surprised and delighted by this book. I have always had a great appreciation for books presenting a slightly different angle on historical aspects of things, and this one catered to my taste (pun intended) just perfectly. 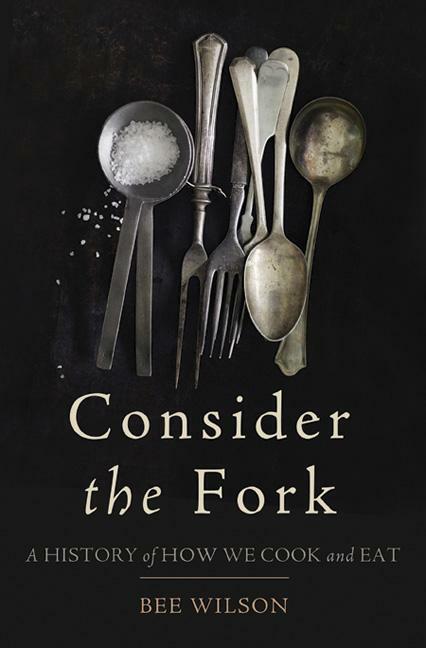 In short: A mesmerizing and beautifully written journey into the world of kitchen utensils!